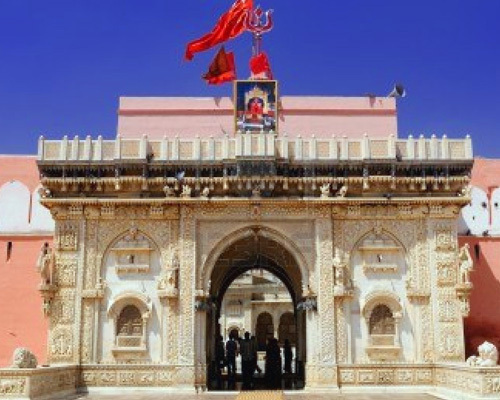 The Karni Mata Temple in DESHNOKE, 30km south of Bikaner, is one of India’s more bizarre attractions. Step inside the Italian-marble arched doorway and everywhere you’ll see free-roaming rats, known as kabas, which devotees believe are reincarnated souls saved from the wrath of Yama, the god of death. The innermost shrine, made of rough stone and logs cut from sacred jal trees, houses the yellow-marble image of Karniji. This in turn is encased by a much grander marble building. 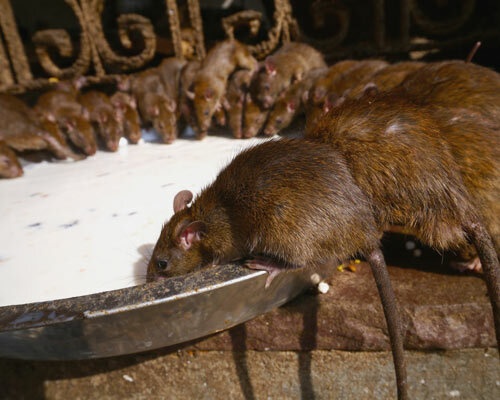 Pilgrims bring offerings for the rats to eat inside the main shrine, and it’s considered auspicious to eat the leftovers after they’ve been nibbled by the kabas. Some pilgrims spend hours searching for a glimpse of the temple’s venerated white rat, while it’s also considered fortunate for a rat to run over your feet (stand still for a while – preferably next to some food), but whatever you do don’t step on one, or you’ll have to donate a gold model of a rat to placate the deity. Shoes have to be removed at the gate, leaving you to wander among the rat droppings barefoot or in your socks. Deshnoke is a small town in the Bikaner district of Rajasthan, which is located about 30 kms from Bikaner.